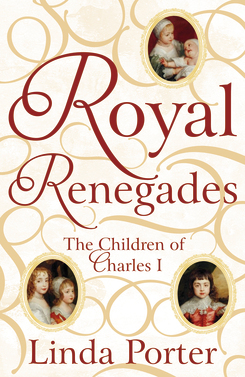 Linda’s fourth book, Royal Renegades: the children of Charles I and the English Civil Wars looks at a neglected aspect of the dispute between the Stuart monarchy and Parliament that tore apart seventeenth century England. The execution of King Charles I is one of the most famous moments in our history but its impact on his family and their treatment by the victors under Oliver Cromwell is little-known. Charles and his unpopular but indomitable French queen, Henrietta Maria, had five surviving children when hostilities broke out in 1642 and a sixth was born in 1644, as Royalist fortunes began to wane. The dramatic account of his wanderings so carefully fashioned by the future Charles II has obscured the fates of his siblings. Royal Renegades will reveal a story of a broken family, divided, as were many others, by religious beliefs, whose privileged existence vanished, to be replaced by imprisonment or exile. It is a story both romantic and harrowing, a microcosm of the Civil Wars themselves. "Charles I was, even his wife and key advisers conceded, lacking in the essential strength that a ruler required, in turbulent times but even Charles's enemies were moved by his loving devotion as a father. Linda Porter looks with sympathy and fluent scholarship at the lives of the five, beloved, Stuart princes and princesses, illuminating how their father's failure as king inevitably impacted their lives, before the survivors strived to forge their own destinies. " "One of the great untold stories of British history - a prince who knew what it was like to live as a pauper, an exiled princess as estranged from her husband as from England. Linda's Porter's pacy and impeccably researched history takes the six surviving children of Charles I and gives full weight to the personal as well as the political stories." " A wonderful story, both poignant and touching, of the family heartbreak that lay behind the public politics of the Civil Wars." 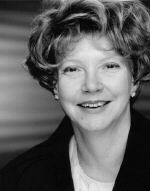 " She tells the tale with flair and admirable clarity…an entertaining read." "lively and engaging...Porter deftly weaves together the key political events from a 60-year period with the turbulent lives of some of its youngest royal players." " Well-written, well-sourced, and objective, Royal Renegades will be appreciated both by those who know relatively little about the Stuarts and by those who have a well-stocked Stuart library. " " A narrative with many strands and hundreds of players, for the motivated reader, Royal Renegades revives a turbulent era of English history. "